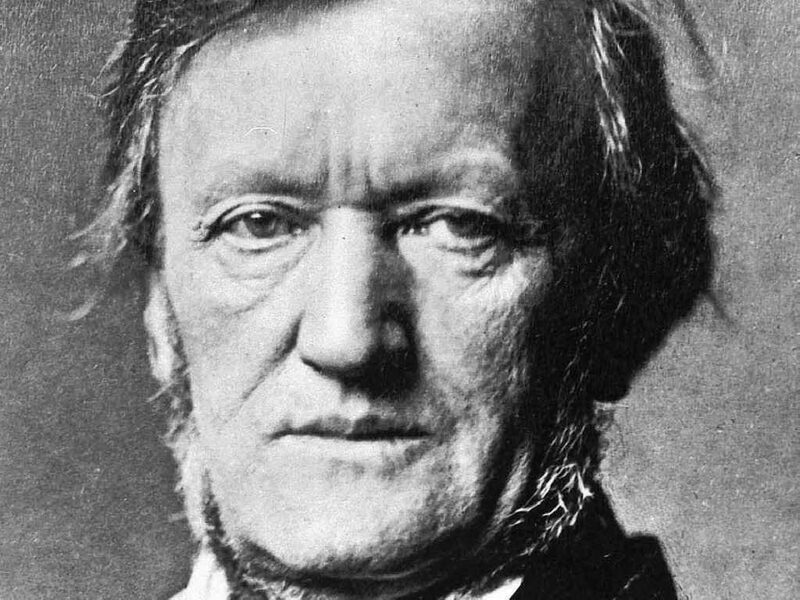 In a future post, I’ll be sharing some of the basic information that classical music bluffers need to know about the operas of Richard Wagner (1813-1883). Today, we will listen to some of the rather spooky German romantic operas that influenced him. 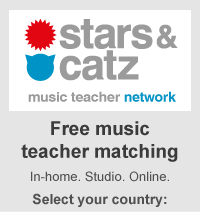 If the topic of today’s blog sounds academic, think again. To start off, I invite you to watch this video of the famous Wolf’s Glen Scene from Der Freischütz (“The Free Shooters,” 1821), a supernatural opera by Carl Maria von Weber (1786-1826). It is one of the most influential and scariest scenes in all of opera. synopsis online. Let us just say that in this scene Caspar, an evil huntsman, is negotiating for the salvation of his soul with a spectral woodsman, Samiel. Of course it is midnight – when else would anyone negotiate for the salvation of one’s own soul? Midway through the scene, a young woodsman named Max arrives so they can cast seven magic bullets that will be used in a shooting contest the following day. Caspar has set it all up so that one of the bullets will kill Max’s love Agathe. But of course, it doesn’t. This opera has a happy ending, more or less. How does a scene like this segue to the operas of Richard Wagner? We are about to find out . . . Die fliegende Höllander (“The Flying Dutchman,” 1843), Tannhäuser (1845) and Lohengrin (1850), all operas about otherworldly events written by Wagner during roughly the first third of his career, flow right from the tradition of the Weber’s supernatural operas, most notably Weber’s Freischütz, Euryanthe and Oberon. studied with Weber. 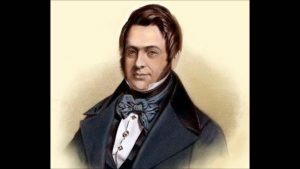 Marschner (1795-1861), wrote operas that followed in Weber’s stylistic tradition. One, Der Vampyr (“The Vampire,” 1828) was a smash hit when it premiered in Leipzig. Wagner was only 10 then. But when Wagner became conductor at the Dresden Court Opera in 1942, he conducted operas by both Weber and Marschner. At the same time, Wagner was composing Die fliegende Höllander (“The Flying Dutchman,” 1843) and Tannhäuser (1845), both of which are essentially German supernatural operas. So you see, Wagner’s early choice of supernatural topics, as well as some of his musical vocabulary, were strongly influenced by Weber and Marschner. And now, let us see that for ourselves . . . Yes, this really is an opera about a vampire –not Dracula in this opera, but one named Lord Ruthven. To save himself from eternal death, Ruthven has to seduce three young women within three days, or he will die. (It is an extremely unenlightened plot we have to admit, but unenlightened plots are unfortunately the norm in many, many operas.) Here is a brief video that shows our slimy vampire trying to seduce one of the women in question, this one named Emmy. At the midpoint of his career, Wagner became wrapped up in the philosophical ideas of Kant, Schopenhauer and Nietzsche and his operas suddenly became quite symbolic, with his characters playing out various of philosophical issues. One of the biggest for Wagner was determinism, which considers the question, do we have control over our own lives, or is everything that happens to use predetermined? In fact, many of the characters in Wagner’s four Ring operas, composed between 1848 and 1874, function nearly entirely as symbols. I’ll be blogging about those operas soon, but for today, let’s leave it at that and loop back to the operas of Weber and Marschner that you can hear on Classical Archives. To make your listening more convenient, I have created a playlist of selections that members of Classical Archives can play with just one click. Here’s what you will hear . . . Listen for the stirring sound of hunting horns in the overture – Freischütz after all, is an opera about hunting. In the aria that follows Max, our good-guy hero, rues his inability to use his marksmanship to win the hand of Agathe. So far, anyhow . . . the next day will bring him success. These tracks bring us performances by the Cologne Radio Symphony Orchestra conducted by Carlos Kleiber. Our Max is the clarion German tenor Hans Hopf. Let us gain a little more perspective by hearing the overture to Weber’s supernatural opera about Oberon, the king of the faeries. We will hear the Dresden Staatskapelle Orchestra conducted by Herbert Blomstedt. We will hear this fine overture performed by the Slovak State Orchestra Kosice conducted by Alfred Walter. 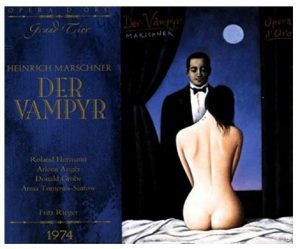 These two selections from Marschner’s Der Vampyr convey the flavor of both that opera, and of German supernatural opera in general. 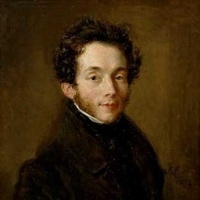 The overture is sometimes accused of being too similar to the works by Weber, who was Marschner’s teacher after all. But who cares – it is accomplished and goosebumps-inspiring. In the following scene I have selected, “Sieh, Mutter, dort den bleichen Mann” (“See, mother there is the pale man”), one of the vampire’s targeted prey describes the would-be evildoer to her mother. We will hear the Bavarian State Radio Orchestra and Chorus conducted by Fritz Rieger. What All this Music Led to . . .
To finish today’s post in fine fashion, we will watch this video of the scene from Wagner’s Siegfried, the third of the Ring operas, in which Siegfried kills a dragon. Siegfried is a hero who knows no fear, which could explain why he seems sort of goofy. Why does he dispatch this poor hapless dragon? Why does the dragon turn into a giant? Why does Siegfried cut himself with his knife by accident and suddenly become able to understand what the forest bird is telling him? It would take a lot of explaining to tell you, and neither of us has the time right now. I will tell you all about it in my next post for opera bluffers. Hope to see you back here soon on Classical Archives! If You Have Enjoyed Today’s Post . . . I encourage you to become a member of Classical Archives, the largest and most comprehensive online library of classical music that you can listen to anytime, from anywhere. You’ll be able to listen to all the playlists here on the Classical Archives Blog and much, much more. CLICK HERE to learn more.